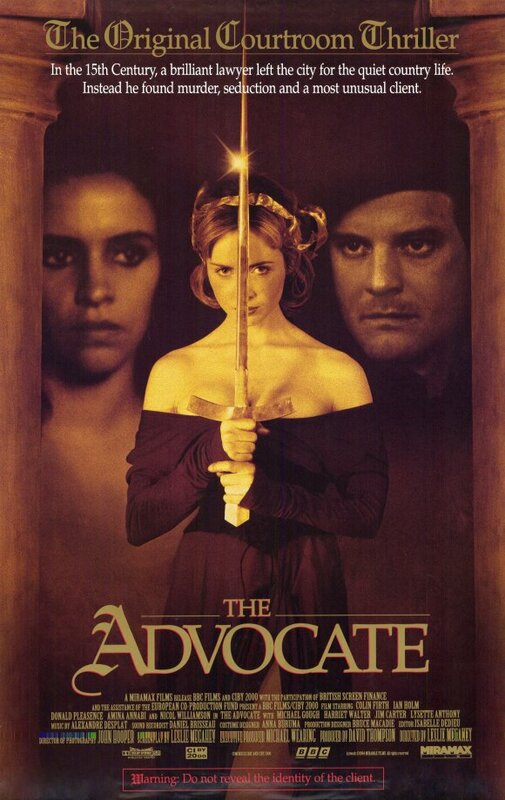 The Advocate (the U.S. version of the British/French production, which goes by the title of The Hour of the Pig), having its widest release in 1994 in 17 theaters, generated a domestic lifetime gross of $602, 329, which is quite respectable considering the overall size of its audience. Directed by Leslie Megahey, this murder mystery thriller and comedy-drama presents the curious and obscure legal matter of animal trials, a phenomenon has not been covered in “medieval” film. The cast is composed of Colin Firth, as Richard Courtois, a young lawyer; Jim Carter, as Mathieu, Courtois’ clerk; Ian Holm as Albertus, a Catholic priest; Donald Pleasence, as Pincheon, the village prosecutor; Amina Annabi as Samira, a beautiful gypsy woman, and Nicol Williamson, as SeigneurJehan d’Auferre. The story is set in 1452 in Abbeville, which is located in modern northern France, but at the time was technically within Ponthieu and therefore under the formal authority of the kings of England. Young lawyer Richard Courtois and his clerk Mathieu leave Paris in order to practice law in what they believe to be the quiet rural village of Abbeville. Courtois is appointed the public defender for the village and inadvertently becomes an advocate for animals standing trial, his most important case being the defense of a pig accused of killing a Jewish boy. Squaring off against Pincheon and Seigneur Jehan d'Auferre, Courtois defends the animal, which is owned by Samira, with whom he falls in love. 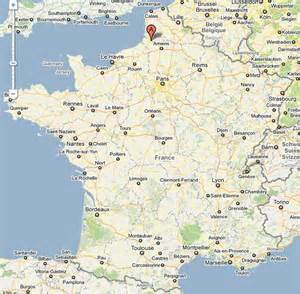 During the trial, Courtois realizes the killer is the Seigneur’s son and d’Auferre does not deny the accusation, claiming his son already left to England for treatment. 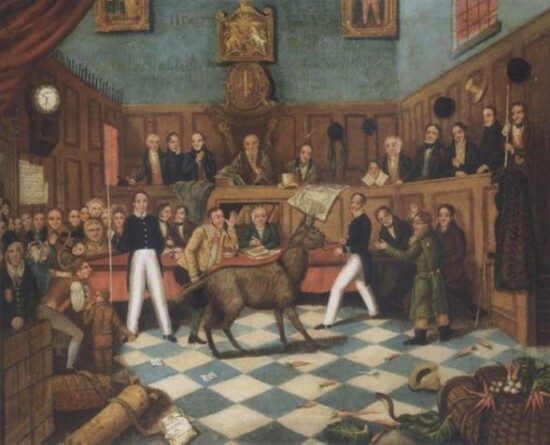 The trial concludes with the pig being acquitted after another identical one is brought in and Courtois proves that this pig was more likely to have killed the boy based on its personality. The character of Courtois is loosely based on the historical Barthelemy de Chasseneuz (1480-1541), a French lawyer and jurist who made his reputation by engaging in a clever defense of a group of rats. Throughout this groundbreaking trial and his subsequent legal work throughout his lifetime, Chasseneuz established important precedents and procedures foranimal trials and, more crucially, for the study of law in general. The film tends to condense the narrative and conflate the different legal systems for the sake of the story.The legal proceedings in the film are bundled together into a single legal system, when in fact across France there were at least two court systems: the civil courts, which handled cases under the jurisdiction of towns, nobles, and the king, and ecclesiastical courts, which handled cases under the jurisdiction of the Church. The prologue text of the U.S. version of this film mentions the incorrect term of “The Dark Ages” to describe this period and implements moral judgment on the film (and, by extension, its historical figures) by stating that the events are both true and “unbelievable” and labels the legal system at the time as being “confused,” implying that there is an objectively correct position to take on legal issues and medieval lawyers couldn’t figure out what it was.However, all in all, the film accurately depicts some of the legal realities of the period, such as trials being conducted before a judge, but with no jury (as in the Roman system of law, which governed French civil courts), and serves its overall purpose by raising serious questions about the nature of justice through its discussion of, for example, the differences in national and customary law and the debate about legal personhood. 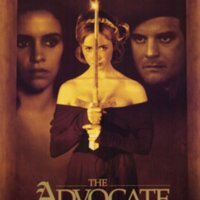 Alejandro Rodriguez, “The Advocate (1994, UK title: The Hour of the Pig),” Medieval Hollywood, accessed April 24, 2019, http://medievalhollywood.ace.fordham.edu/items/show/123.